Approximately 50% of individuals over the age of 70 have reduced vision as a result of cataracts, a common cause of blindness worldwide. In the developing world, cataract prevalence is on the increase. One study showed that in several Northern Indian villages, almost 60% of people aged over 50 had cataracts, a finding that agreed with a previous study of South Indian populations. Close up of the senile cataract during eye examination. 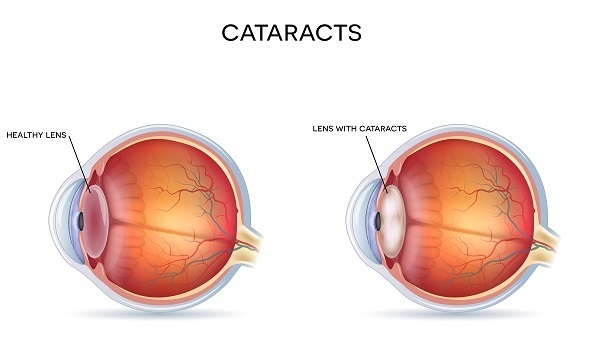 Currently, there are no treatments that can be used to prevent or delay the onset of cataracts. The primary treatment is surgery and in the US, approximately $6 billion per year is spent on surgical procedures to remove cataracts. As the world population and human lifespan continue to increase, the greater is the need for non-surgical treatments for the prevention or delay of cataract formation. Delaying the age-of-onset by just 10 years, could halve the cost of surgeries and the associated medical expenses. Furthermore, such therapies could significantly reduce the stress and number of accidents caused as a result of people having cataracts. The transparency of the eye lens requires maintenance of the native tertiary structure and solubility of proteins in the lens called crystallins. As a person ages, the eye lens proteins can become denatured by proteotoxic stress as a result of UV radiation or oxidation, for example. When this happens, the denatured proteins are recognized by heat shock proteins (HSPs) and directed for either degradation or re-folding. Two important HSPs in the lens are αA-crystallin (cryAA) and αB-crystallin (cryAB). These work together as molecular chaperones to maintain the solubility of other proteins in the lens such as the β-crystallins and the γ-crystallins. Studies of hereditary cataract have previously shown that a lens mutation called R120G alters the ionic interactions that usually stabilize cryAB. As a result, not only is the chaperone activity in the lens reduced, but the unstable cryAB starts to formamyloid-like fibers that create a barrier to light. Aside from these stress-induced molecular chaperones, researchers have developed so called pharmacological chaperones (PCs) that can bind and stabilize the native state of proteins. Although PCs have been approved for a number of other protein misfolding diseases, no PCs are yet available that can stabilize cryAB and prevent its aggregation. One of the challenges to achieving this is the fact that cryAB does not have any naturally occurring substrates that could be used as a starting point for designing drugs. Researchers are therefore currently trying to establish techniques that may enable the discovery of PCs for cryAB. One possibility that scientists have looked at is the use of differential scanning fluorimetry (DSF), a rapid and cost-effective screening technique for identifying ligands that will bind and stabilize purified proteins. In a DSF experiment, a protein’s apparent melting transition (Tm)is measured in the presence of potential ligands, which add free energy to the state that they bind and shift the apparent Tm. Using high throughput DSF, Leah Makley (University of Michigan, US) and colleagues established that the apparent Tm of R120G cryAB was 68.3˚, while for wild-type cryAB it was 64.1˚. The researchers decided that molecules that can reduce the apparent Tm of R120G cryAB could be potential PCs and screened a collection of compounds known to have activity in a number of different assays. The team identified 45 compounds that decreased the apparent Tm by at least three standard deviations and further analysis of these “actives” showed that 12 belonged to a single class of related sterols. One of these sterols, lanosterol, is known to have anti-cataract activity, yet it was only weakly active by DSF. This led the researchers to collect 32 other similar sterols, which they screened against R120G cryAB using DSF. One compound, 5-cholesten-3b,25-diol (compound 29) was at least two to three times more potent than lanosterol, lowering the apparent Tm of R120G cryAB by 2˚C. However, many of the other sterols were inactive, which indicated a specific interaction. Compound 16, for example, which is structurally similar to compound 29, was inactive and biolayer interferometry showed that immobilized R120G cryAB only bound compound 29 and not compound 16. Intrigued as to exactly where this specific binding might be taking place on R120G cryAB, the researchers performed 15N–heteronuclear single quantum coherence (HSQC) nuclear magnetic resonance experiments. Indeed, this revealed compound 29 bound to the crystallin domain at the dimer interface, whereas compound 16 did not. The instrument used to obtain the HSQC spectra was the Bruker Avance III 500 MHz spectrometer, which is equipped with a 11.74T Ultrashield magnet, triple resonance, z-axis gradient probe, a magic angle spinning unit and a 60-position BACS sample charger. Having used NMR to locate this specific and direct interaction, the researchers went on to perform docking experiments, which showed that compound 29 fitted into a groove lying between two structural subunits (protomers), indicating that it may stabilize the crystallin’s native state. The researchers then performed in vitro studies which showed partial suppression and even reversal of amyloid formation when compound 29 was added to R120G cryAB. It also improved lens transparency in both heterozygous R120G cryAB knock-in mice with severe hereditary cataracts and wild-type mice that had spontaneous age-associated cataracts. Finally, compound 29 improved protein solubility in human lens material, ex vivo. 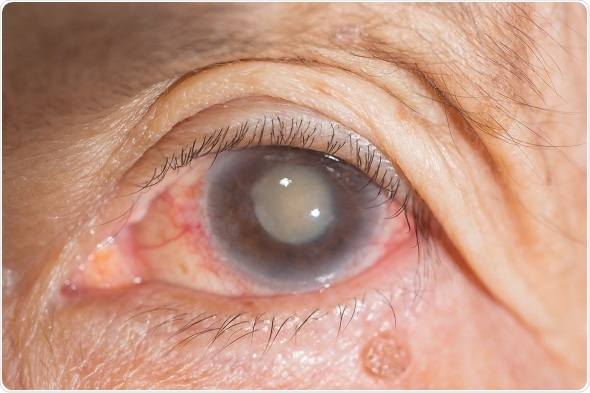 The team says the findings represent a promising new approach to the treatment of cataracts in both age-associated and hereditary forms of the disease. Bruker is market leader in analytical magnetic resonance instruments including NMR, EPR and preclinical magnetic resonance imaging (MRI). Bruker's product portfolio in the field of magnetic resonance includes NMR, preclinical MRI ,EPR and Time-Domain (TD) NMR. In addition. Bruker delivers the world's most comprehensive range of research tools enabling life science, materials science, analytical chemistry, process control and clinical research. Bruker is also the leading superconductor magnet and ultra high field magnet manufacturer for NMR and MRI solutions.